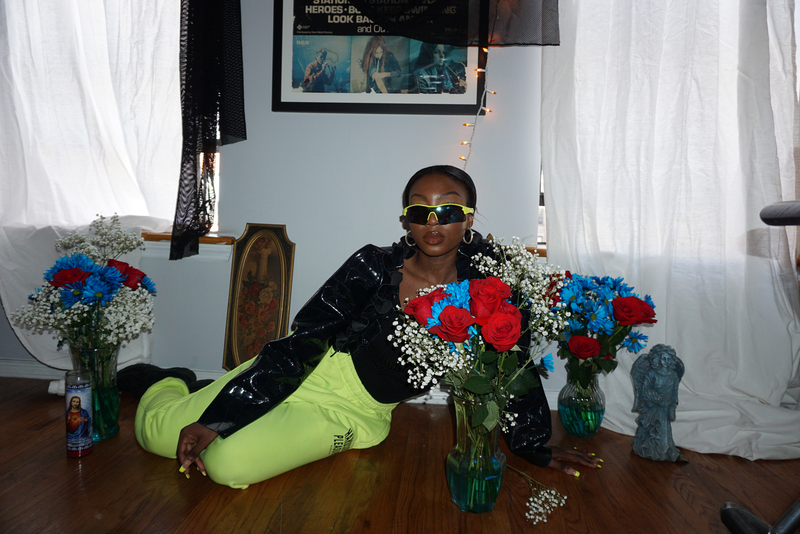 This is the third in a series of videos by this designer and director duo, Raza also directed an earlier video featuring Kim Gordon, as well as a video shown at 303 Gallery during fashion week. The 2 minute, high-definition video focuses on the geometry of Tess Giberson’s clothing and the idea of movement. As opposed to the earlier videos that explored a witchy and elegant woman of authority and grace this video creates a new character. She is a young woman who perhaps just arrived in this realm, taking the first steps to something new. She is a little bit hesitant and awkward but beautiful with her own strength and determined to learn to exist here. Caroline Polachek made the music for the video, inspired loosely from a crochet installation Giberson made for her Spring 2014 runway show. Polachek, who also created music for the designer’s runway show, started with an ethereal and spidery feeling to create the mood for the piece.